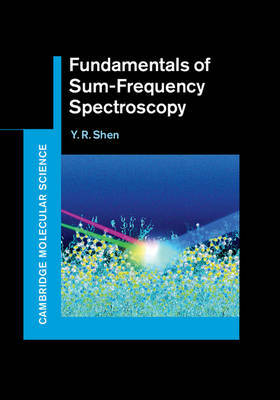 The first book on the topic, and written by the founder of the technique, this comprehensive resource provides a detailed overview of sum-frequency spectroscopy, its fundamental principles, and the wide range of applications for surfaces, interfaces, and bulk. Beginning with an overview of the historical context, and introductions to the basic theory of nonlinear optics and surface sum-frequency generation, topics covered include discussion of different experimental arrangements adopted by researchers, notes on proper data analysis, an up-to-date survey commenting on the wide range of successful applications of the tool, and a valuable insight into current unsolved problems and potential areas to be explored in the future. With the addition of chapter appendices that offer the opportunity for more in-depth theoretical discussion, this is an essential resource that integrates all aspects of the subject and is ideal for anyone using, or interested in using, sum-frequency spectroscopy.